Is Birkenhead still open as my grandson wanted a special piece of lego you can purchase on line thru a lego club and was priced in usa dollars plus postage and worked out to be exspensive so my neighbour bought him the same in London. 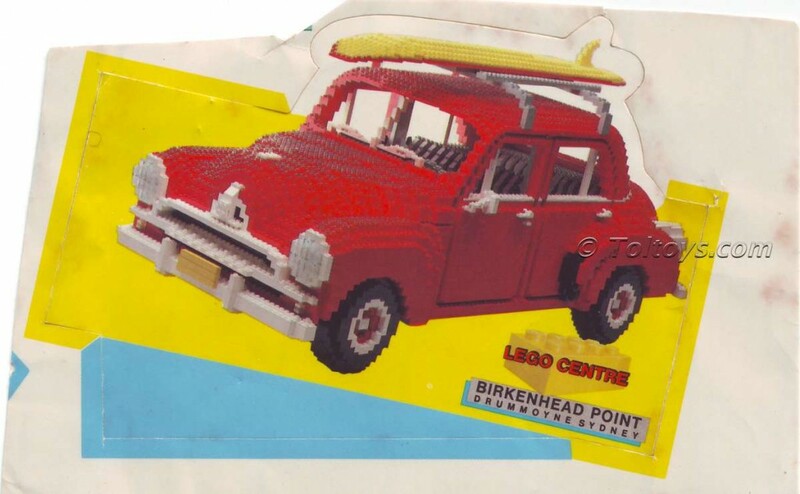 Thanks for your question, Birkenhead Point Lego store closed down in the late 80’s or early 90’s sorry. I believe the address associated may not be located at Birkenhead Point. 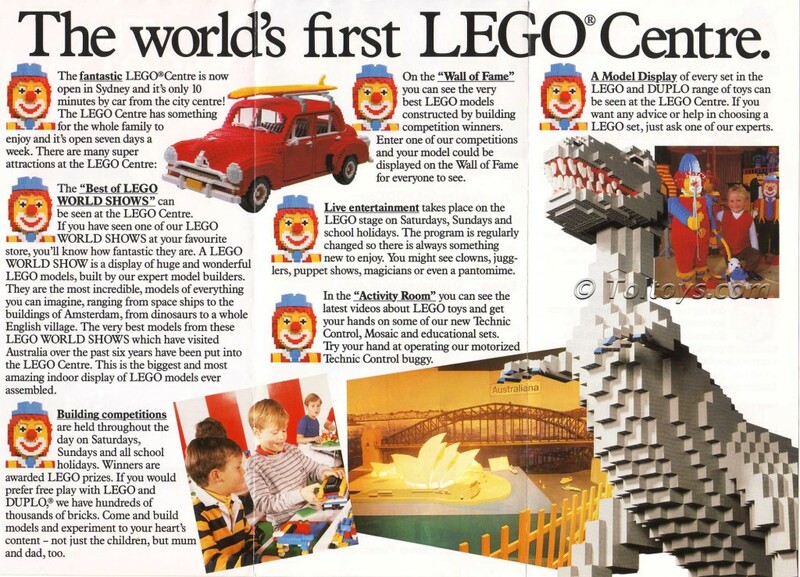 Hello, this article is about the Lego Store that used to exist at Birkenhead Point but closed down 20 years ago. 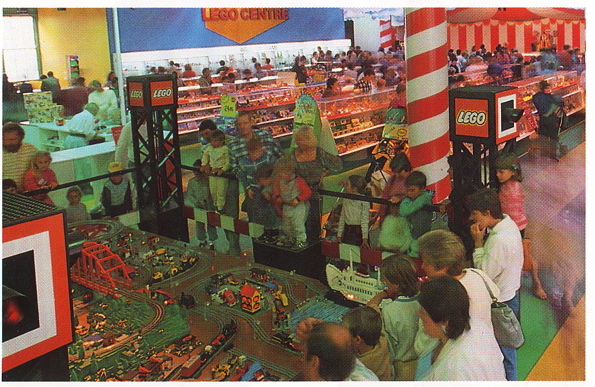 There are currently no official lego stores in Australia. Thanks. So many great memories of this place back in the day. Still love Lego now. 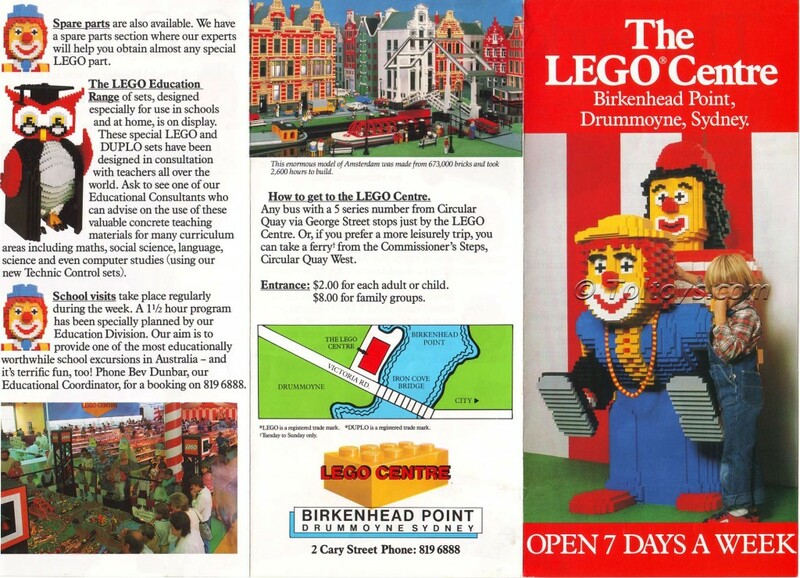 Great website, and great article about the Birkenhead Point Lego centre. Sadly I never actually went there, but can clearly remember the TV commercials and really wanted to go! Fantastic to see more photos and details, and it’s a great pity it’s gone now. Took my girls there many times. Now at the ages of 28 and 22, they still love Lego!! Shame it closed down. Here is a link to my photo of the knight sticker from the Birkenhead Point Lego Centre.